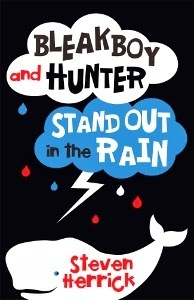 Kids' Book Review Development Editor Jo Burnell was delighted to have the opportunity to chat with best-selling author Steven Herrick about the release of his latest book Bleak Boy and Hunter Stand Out in the Rain. Read on to find out about Steven's writing process for his books, including the recently re-released The Simple Gift. Having published works in prose and poetry, short and long forms, for audiences as young as perhaps six or seven years (Untangling Spaghetti) and as old as 18 (The Simple Gift), where do you get started? Do you consciously plan to write for a particular audience, or start by writing about a particular character? Could you let us peek at your ‘getting started’ process? I tend to begin with one main character and a location. I believe the location is as important as any of the characters and I’ve got to know it intimately before I feel confident in starting. For example, the house in Love, Ghosts and Nose Hair is our house in the Blue Mountains; the location of By the River is where I grew up in Queensland; the disused train carriage in The Simple Gift was in Ballarat where I stayed for a while when hitching around the country as a teenager; the country town of Cold Skin is loosely based on Lithgow. Is there an argument for using prose in some cases and poetry in others? Are you the boss or do you let the writing guide you? Luckily for me, the style of writing tends to announce itself from page one and I just follow my instincts. It usually works for the best. Having said that, on two occasions, I changed the format after the first draft. I wrote Do-wrong Ron as a series of prose poems, but it didn’t really work, so I quickly changed it to a verse-novel. And Black Painted Fingernails was half-finished as a verse-novel before I converted it to a prose fiction. A number of your earlier books have male protagonists (The Simple Gift, Rhyming Boy, Do-wrong Ron, Cold Skin, By the River). Even Untangling Spaghetti tends to follow more antics of mischievous boys than girls. With your more recent titles (Pookie Aleera is not my Boyfriend and now Bleak Boy and Hunter) strong female voices emerge. Is there a different process to finding male versus female voices, and those of different ages? Do you identify more easily with a particular age or gender? Many of my books have strong connections between young and old male characters (Old Bill and Billy in The Simple Gift; Father and son in both By the River and Love, Ghosts and Nose Hair; Hunter and the old man Les in my new book Bleakboy and Hunter Stand Out in the Rain). I guess this is simply because I have two sons of my own and I’m keenly interested in the relationships between males of all ages. But, yes, I have very much enjoyed creating the stronger female leads of ‘Pookie’ and ‘Bleakboy’ and, in particular, Black Painted Fingernails. You bring a gentle smile, a touch of lightness, to even the most sombre topic. How do you manage to embed humour? Do you start with the storyline and then look for ways to lighten it up, or perhaps start with snippets that bring a smile, then build your story around these? The simple answer is I have a positive view of the world, so even my more serious books tend to focus on what can be achieved, what ‘good’ each of the characters can bring to a dark situation. What’s next? Almost without exception, your stories are about real life people and situations that could happen today. Is realism fiction your ‘genre’ or might we see Sci-Fi / Historical/ Crime Fiction from you in the future? I have recently written and published (through Amazon ebooks) a series of travel memoirs based on my bicycle adventures across Europe. I’ve been pleasantly surprised to see how well they’ve sold, particularly in the UK and the USA. These books sell solely because of the subject matter - they appear to be bought by people wanting to ride their own bikes across Europe and who are interested in my memoirs as a ‘guidebook’. 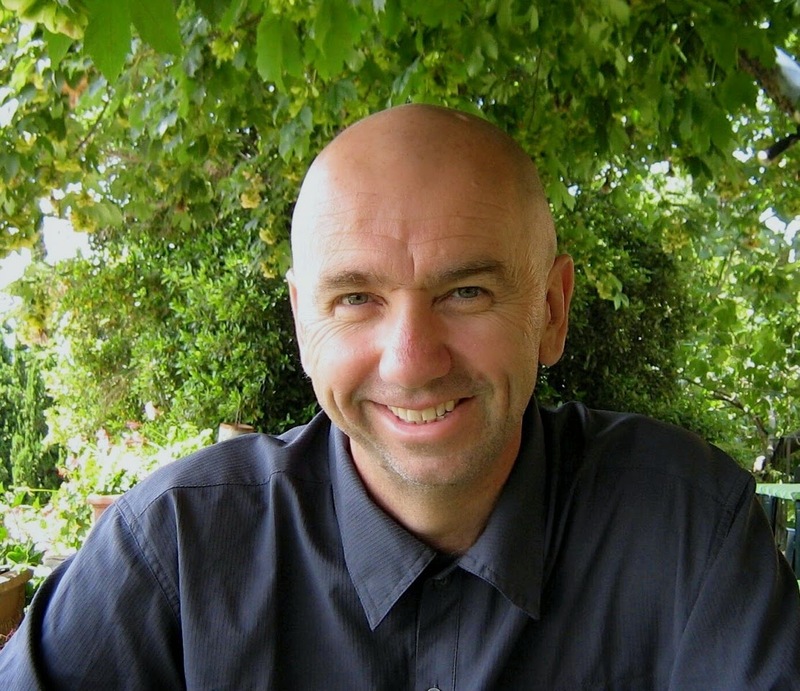 Steven Herrick is an Australian author who writes poetry and verse-novels for children, teens and adults. Many of his books have been shortlisted for the CBCA Children's Book of the Year. Steven travels to schools and festivals around Australia and internationally sharing his love of poetry. His latest title, Bleak Boy and Hunter Stand out the Rain, was published by UQP in April 2014. 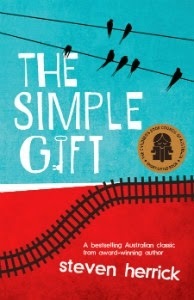 His verse-novel The Simple Gift (KBR review here), first published in 2000, has also been re-released by UQP in 2014. To find out more about Steven and his work, visit his website and blog.